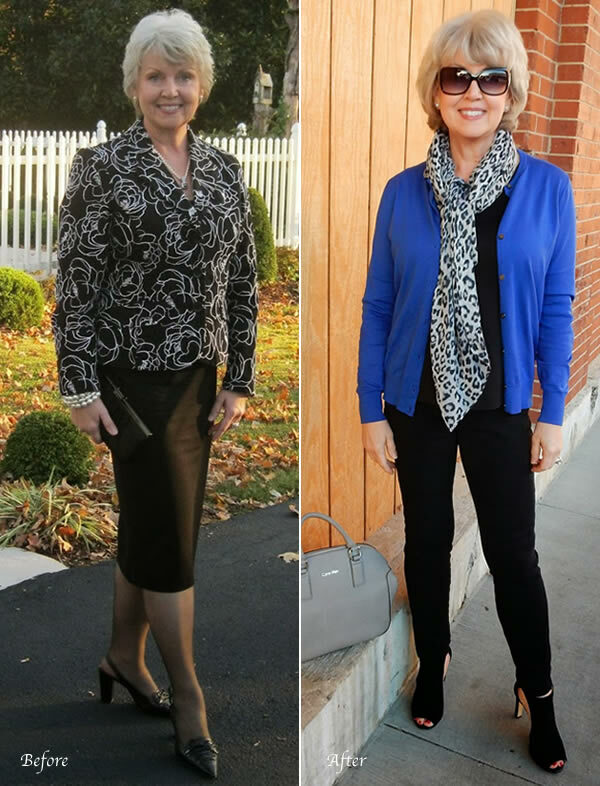 In her 40s Susan went through a ‘frumpy’ phase when she dressed older than her years and just did not feel stylish or youthful at all. 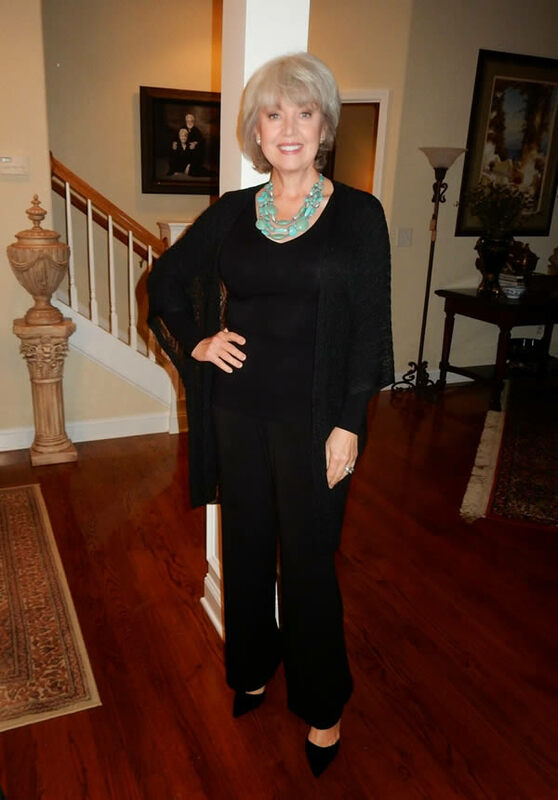 That all changed when she hit her fifties and found her style grove. 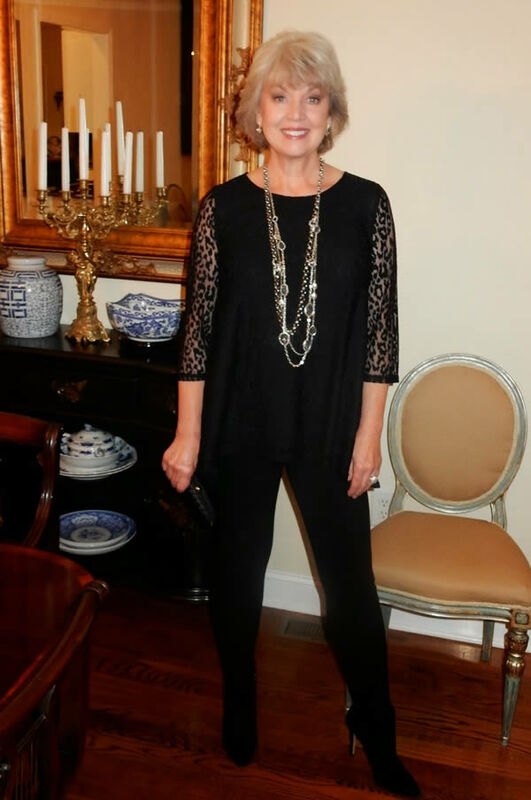 Now she is one of the most youthful-looking and sassy 50+ dressers I know. Time to get to know her style secrets and learn more about her! It is an honor to be included in this feature. I’ve been a fan of your blog for a long time. I love the classics; be it architecture, Dutch master paintings or a good looking black suede pump. Luxury for me is spending time doing the things I enjoy most, reading, going for long power walks, exploring the old neighborhoods in a city I haven’t visited before and in winter taking a nap by the fire on Sunday morning while Mr. Mickey reads the paper. I have been working in the fashion industry since 1976 so a fashion blog seemed to be my destiny. Mr. Mickey and I have been dating for almost nine years. The blog has become a scrapbook of our adventures together. He is the photographer and plans most of our outings so this is a joint venture in many ways. If he were not in my life I would likely be sitting home reading a book or still working crazy long hours. I was born in 1956 and Mr. Mickey was born in 1934. Can you tell us a bit more about your blog Fifty not Frumpy and why you created it? In 2010 I became a vegetarian and quickly lost more than forty pounds which meant I had to buy a whole new wardrobe. Not even my shoes fit anymore. That may sound like a great adventure but it wasn’t as easy to do as you might think. I made a lot of expensive buying mistakes but after a couple of years I finally figured out what would work for me at this age and my current lifestyle. Throughout this adventure, I kept thinking I can’t be the only one who has this much trouble figuring out what to wear, so I decided to share some of my successes (and more than a few failures) on a Facebook page. That project quickly grew into a blog because there was so much to share. 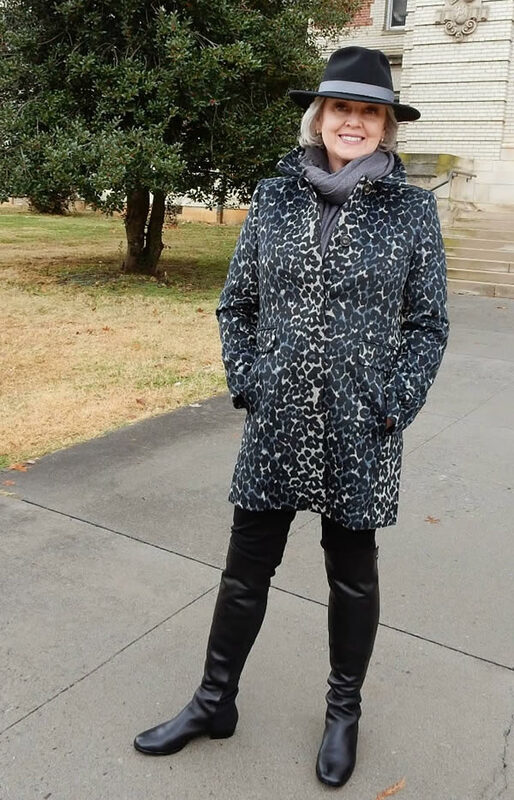 How do you avoid looking frumpy over 50? I don’t wear plaids, floral prints, ruffles or anything too trendy. My wardrobe includes basics with a bit of an edge in neutral solid colors. 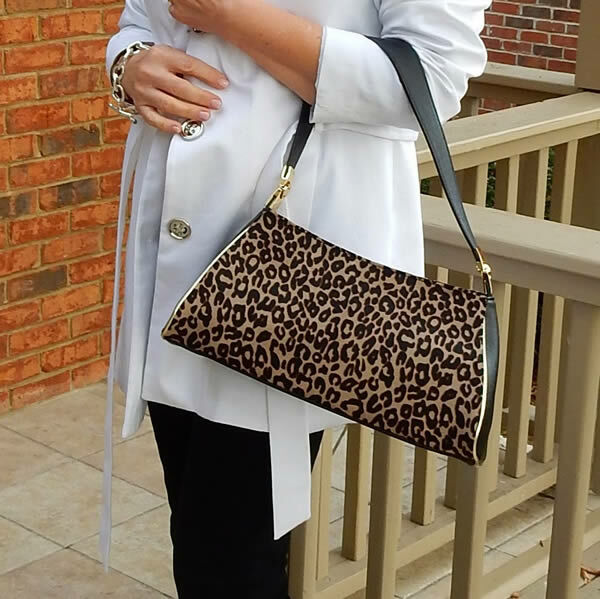 I love unique shoes and quality handbags. I am thankful that I can still wear high heels comfortably. Rock ‘n roll minimalism softened with elegant details. Well-made jackets, slim leg jeans and always awesome shoes. I live in Johnson City, Tennessee in the USA now but I have lived in many other places. That multicultural experience contributes a great deal to my style which is quite different than most of the women in my area. I spent a summer in Europe as well as time in New York, Atlanta, New Orleans, LA and Dallas. My uniform includes neutral colors with elegant details in natural fabrics. I prefer well-made classics that last for years, not just a season. I can almost walk into my closet and get dressed with my eyes closed. If something catches my eye while I am shopping but it won’t work with four other things I already have, I don’t buy it. It all starts with the shoes. I often put the outfit together based upon the pair of shoes I want to wear that day. Emmanuelle Alt (editor of Vogue Paris) is my current style crush. I also like the casual style of Kate Moss and Barbara Martelo. I loved the work of the great designers Pierre Balmain, Madame Gres, and Cristobal Balenciaga. Yes, I must! I look very ill in warm (toned) colors and thirty pounds heavier in anything with a ruffle at the neck. During my 40’s I was working so many hours to build my company I rarely saw the light of day. Sadly, what I wore wasn’t something I thought much about. Thankfully there are very few pictures from that time. And after 50? 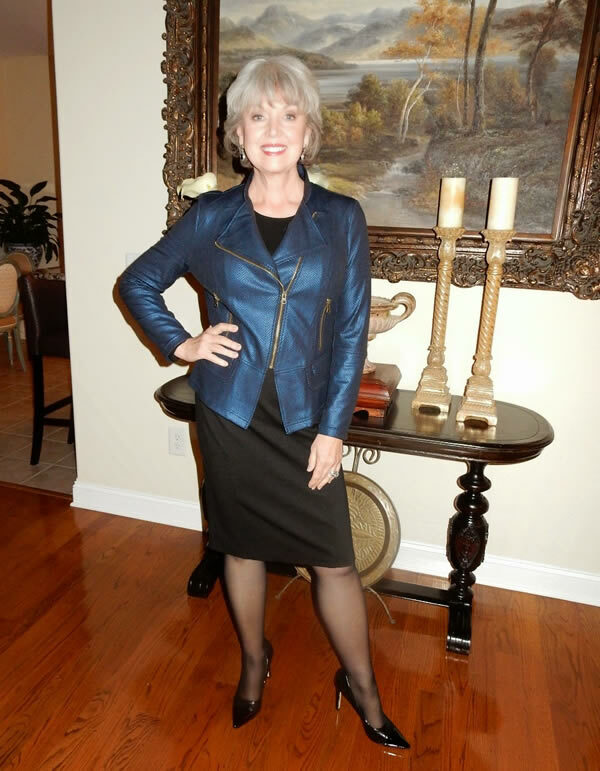 Do you feel there is a difference between dressing after 40 and dressing after 50? 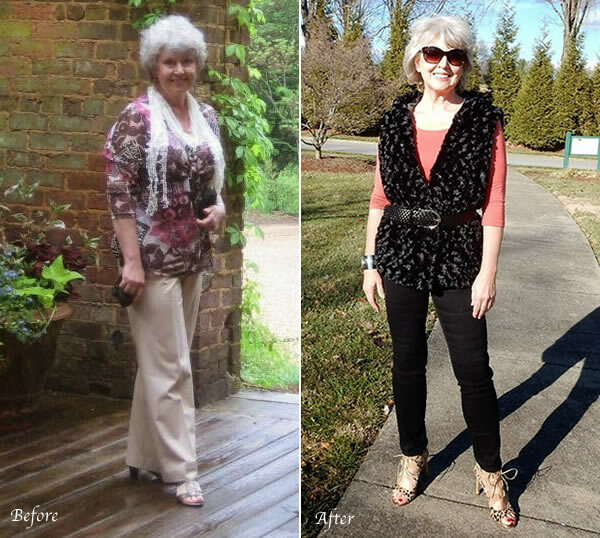 My body and my lifestyle changed a lot after 50. I now enjoy wearing structured fitted clothing in more sophisticated shapes and better fabrics. I dress for social events several times a week now so I need separates that can be mixed with each other. I rarely wear a dress. 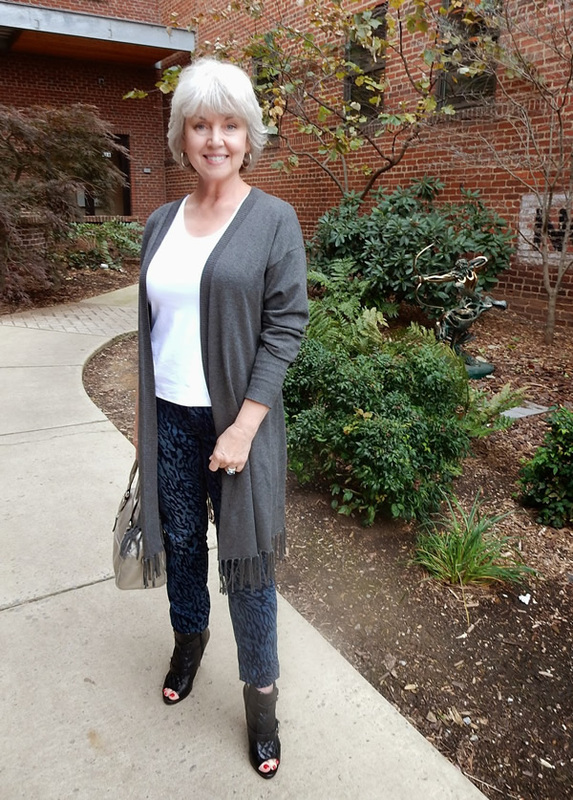 My late 50’s have been significant for me because I finally feel comfortable in my skin and I really enjoy getting dressed each day. I do think we have to be mindful of dressing too young. Even if I were in great shape I would not show cleavage or wear a skirt with a split. That wouldn’t fit with my personality and I do think you need to take that into consideration as well. 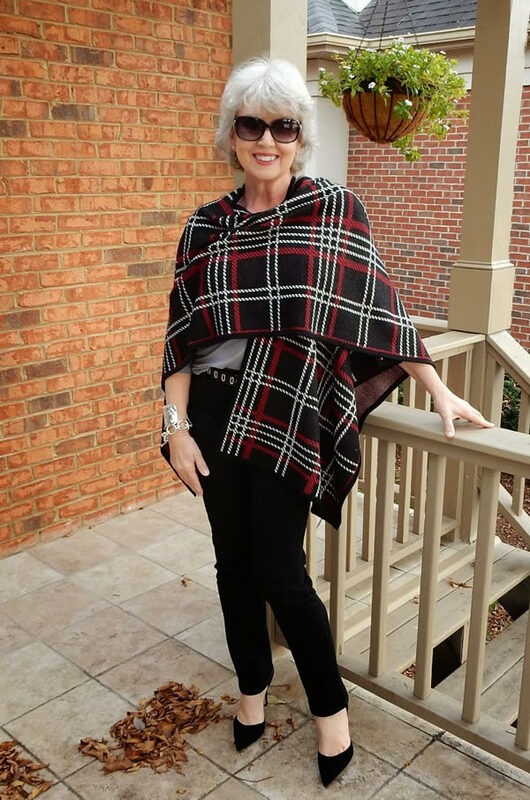 I was guilty of dressing too old for a while because I felt a need to “act my age” after I turned fifty. I am enjoying the happiest time in my life so I want to celebrate that fact by looking my best and feeling comfortable in what I am wearing. I am having a lot of fun with fashion right now. 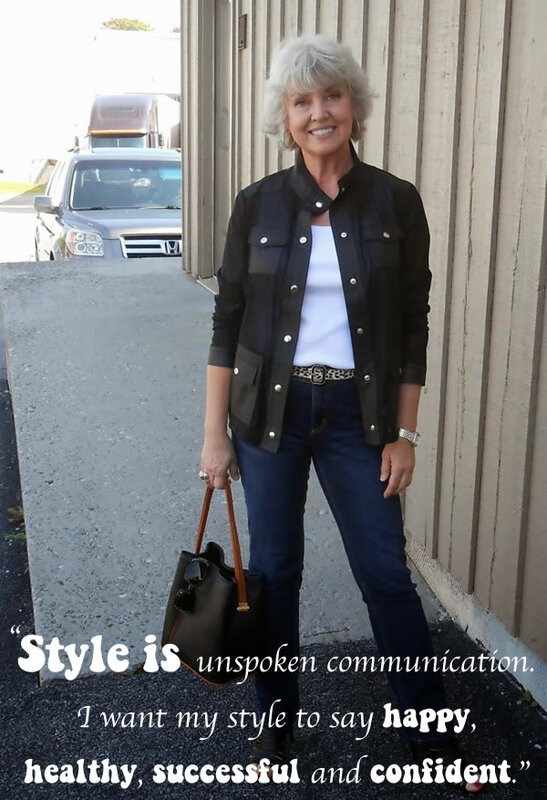 Style is unspoken communication. I want my style to say happy, healthy, successful and confident. The posts from this year show how much my style has changed since I started blogging. I found my personal style formula this year and it has made getting dressed everyday so much easier. I do follow trends and I especially enjoy looking at street style photos. The creative combinations can give you ideas but I limit myself to one trend per day. I like the half tuck or the messy tucked shirt in summer with a pair of straight leg jeans. Wear what makes you happy and comfortable. When you find the dressing formula that fits your body shape and lifestyle, stay true to it. You can always update your look with accessories. Be it makeup, accessories or hair coloring/styling less is more. I look forward to many more years of sharing, learning and getting to know more of you via the blogging community. It has been a wonderful journey! Note from Sylvia: Thanks Susan for your inspiring answers. 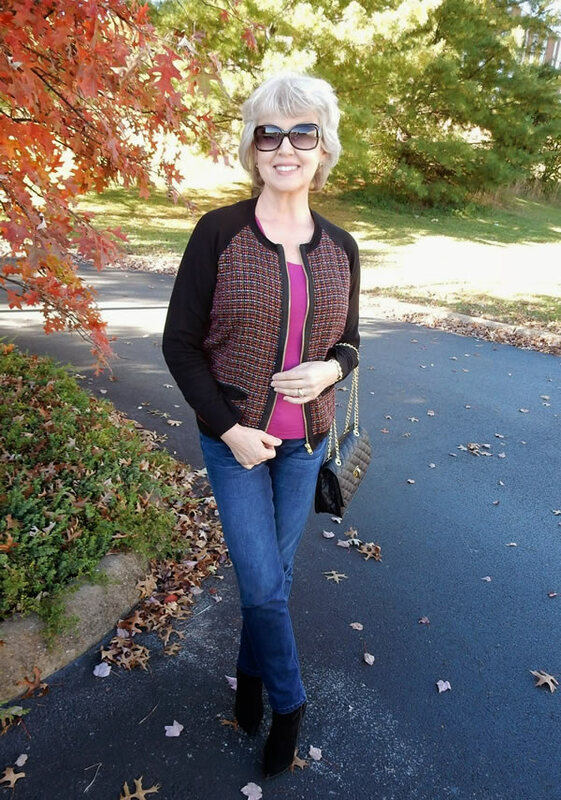 Be sure to check out her fabulous blog Fifty Not Frumpy and discover many more outfits. How do you beat the frump after 40? And which of Susan’s outfits is your favorite? Great interview and lots of inspiration! Thank you ladies! The before and after pic blew me away. Love the classy yet chic way you have with accessorizing your beautiful combination of outfits. Really enjoyed this interview. Love #7 (the one with the Honda in the background). Lot of style, attitude, and beauty even with the informality of the outfit. PS: My wife also often starts with the shoes. Great interview and classy understated style. The link didn’t work when I went to it though. I had to search for her blog on my own. She truly is lucky that she can wear such vertiginous heels. Oh, I love the confidence springing out of each picture!!!!!!!! I am about to turn 40 and am looking at ways of expressing style with my changing body and Susan is so inspiring! Thanks Sylvia for a terrific interview and for introducing me to a dynamite new style icon. I will definitely follow Susan’s blog. I loved and would wear just about all of her outfits. Her jewelry is great – I wonder if it is from her company? What a beautiful and stylish lady! Looks great and good for her on the weight loss. I think that and the more up-to-date haristyle probably changed her appearance the most. I would argue that one can still wear plaid, florals, and even a ruffle or two and not look frumpy, though. This edgy look doesn’t suit everyone. I how Susan has evolved and refined her style. She always looks fabulous! 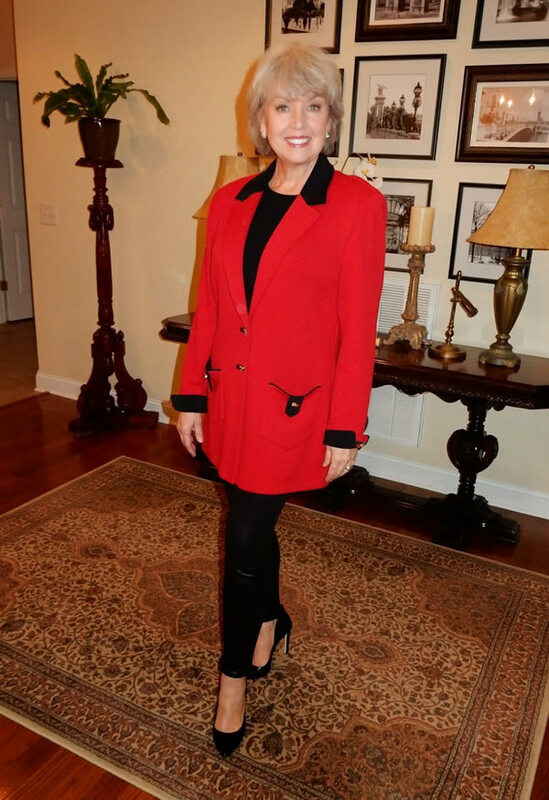 Susan has a great fashion sense and I always look forward to her blog postings. She mentioned Balenciaga. My first college report at FIDM was on the designer. It’s nice to read that there are others who still appreciate the older design houses. Susan is a total hottie and such an inspiration!! Now there is inspiration for you! Especially the before and after photos. What a brilliant change. Not only does she look years younger, she also looks at ease, confident, modern. Great woman. I am already following Susan’s blog for quite a while. Not only I love her elegant yet modern style (and fabulous shoes!) but also her amazing trips with Mr Mickey. This happy life together surely adds to her radiant looks! Thank you for this interview, Sylvia. Wow, just had time to read this and you look amazing. Great interview ladies. I really enjoyed. Totally enjoyed your evolving personality in clothes and looks, Susan. me encanta! Moda apropiada para mujeres no tan jóvenes pero que queremos vernos bien,felicidades! Definitely like Susan’s style. And she looks great. I’m more casual. Travel alot so comfort is #1. Jean’s wouldn’t work for me but look great on her. She wears her style well and looks way younger than she actually is. Susan I’m looking in your shopping site for the cotton long dress in black and one in white size medium. I bought a navy one in medium. And really enjoy it. I’m trying to purchase the other two colors in medium. Previous post: Is your house a reflection of your style? Next post: Having twice the fun with a fashion-forward dress!